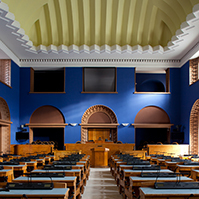 The Riigikogu (Parliament of Estonia) will discuss the state budget for 2016, which will amount to 8.9 billion euro. It is 4.2 percent or 358 million euro larger than the state budget planned for 2015. The Government has based the budget on the targets planned for the next four years. These targets are promoting economy, strengthening the security of Estonia, improving the welfare of families with children and creating an environment favourable to the birth of children, and improving the welfare of low wage earners. It is also planned to reform the state and local administration and to reduce peripherisation. Prime Minister Taavi Rõivas called this budget “a responsible budget”. Minister of Finance Sven Sester has said that it is a sustainable and conservative budget. The increase of the revenues of the next year’s budget by 358 million euro or 4 percent involves several changes in comparison to this year. State pension will increase by 88.9 million euro, health insurance by 51.8 million euro and defence expenses by 37.1 million euro. This includes also 11 million euro for constructing the infrastructure necessary for supporting our allies. 30 million euro are allocated for the construction of roads, 20 million euro for strengthening the eastern border, 16.1 million euro for family benefits, and 10.5 million euro will go for parental benefits. Nearly 10 million euro are allocated in the budget for the preparations for Estonia’s Presidency of the Council of the European Union and the 100th anniversary of the Republic of Estonia. Most important investments will be made to real estate. In the area of administration of the Ministry of Education and Research, this is the construction of the new archive building for the National Archives of Estonia. 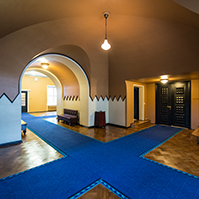 In the area of administration of the Ministry of the Interior, Piusa border guard station, the common building for the Rescue Board and Police Board in Pärnu, and the buildings for Vändra and Vastseliina brigades will be constructed. 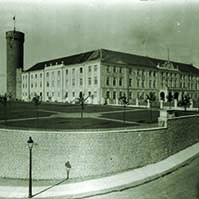 In the area of administration of the Ministry of Justice, it is planned to build new Tallinn Prison and a new courthouse in Tallinn. 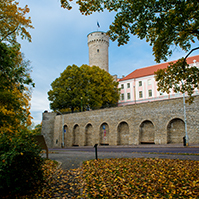 In the area of administration of the Ministry of Culture, investments will be made to the new building of the Estonian National Museum, courtyard house of the Estonian Puppet Theatre, and the administrative building, road and communications of the Seaplane Harbour. The building of a new office and laboratory complex for the Health Board is in the area of administration of the Ministry of Social Affairs. The State Audit Office will have a new office building at Toompea. Chairman of the Finance Committee of the Riigikogu Remo Holsmer pointed out several significant changes and allocations in the state budget. “The budget prescribes increasing the basic exemption to 170 euro, child benefit to 50 euro, and to 100 euro for families with three and more children next year. Additional 30 million euro will be allocated to the investments to roads. For example, the construction of important traffic junctions, Haabersti and Russalka interchanges in Tallinn, will be started. Also the construction of Tallinn Ring Road will be continued,” Holsmer explained. “The budget also provides 4.6 million euro additional support to the dairy and pork industry sectors that are in the deepest crisis. Another 3 million euro will be added to it this year,” he said. Minister of Finance Sven Sester gave an overview of the next year’s state budget at the sitting of the Finance Committee. He explained that the budget provides for a 4 percent rise in the salary fund of teachers, culture workers and social workers, police officers and other internal security officers. In comparison to this year, the pensions will grow and more money is allocated to health care. The budget will be based on a number of tax changes. Besides increasing the basic exemption to 170 euro per month, the basic exemption of pensions will also be increased, to 225 euro per month. The exemption rate of the daily allowance for assignments abroad will grow from 32 euro to 50 euro in private sector. The deduction of training expenses will be restricted, the maximum rate of deductions from the income tax of natural persons will be reduced from 1920 euro to 1200 euro, and 80 percent of the income from rent will be taxed. These changes will enter into force on 1 January 2016. Alcohol excise duty will increase by 15 percent from 1 February 2016. Fuel excise duty will also be raised on that date, by 14 percent on diesel fuel and by 10 percent on petrol. On 1 June 2016, the tobacco excise duty will be increased by 8 percent. The state budget for the coming year is based on an economic growth of 2.6 percent. Inflation will be restored and will increase to 2 percent. The revenues of the state budget are expected grow by 3 percent, which includes the growth of tax revenues by 5 percent. The increase in state budget expenditure will be 4.2 percent. Tax burden will be stable, at 33.4 percent of GDP, and this also includes the lowering of taxes on labour by 0.3 percent. It is planned that the average salary will increase by 4.5 percent, or to 1096 euro. It should be explained here that the general increase of the government sector’s salary fund will be 0 percent, but in priority sectors the increase will be 4 percent. The average pension will grow by 5.7 percent, or to nearly 395 euro. The next year’s budget is nearly balanced, which is – 0.1 percent of GDP. However, the structural position will remain in surplus, which is 0.6 percent of GDP. Chairman of the Finance Committee Remo Holsmer noted that it is planned to invite the ministers of all sectors to the sittings of the Committee in order to discuss the budget in detail before the first reading. 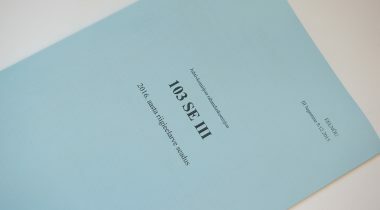 The Riigikogu concluded the first reading of the State Budget for 2016 Bill. Kadri Simson, Andres Herkel, Martin Helme, Aivar Sõerd, Kalvi Kõva and Siim Kiisler took the floor during the debate. Kadri Simson noted that one of the concerns of the budget is confusion regarding the financing of the Ministry of Education and Research. She also noted that no funds have been provided for restoring the financing of local roads and that agriculture needs larger support than has been proposed in the draft budget to exit the crisis situation. Andres Herkel pointed out the impact that the raising of excise duties, taxes and fees would have on the society. In his words, the economic forecast that has been taken as the basis for the budget is not reasoned. Herkel stressed that agriculture needs more decisive support from the Government and he was not satisfied that the state budget financing of political parties had not been reduced. Martin Helme criticised the draft budget for scarce transparency. He found that there were a number of unfounded expenditures in the budget and there was no vision in the budget how to help the development of Estonian export. Helme also noted that agriculture should be supported more. In his speech, Aivar Sõerd pointed out the evaluation of the International Monetary Fund (IMF) on Estonia, according to which Estonia has an economic environment that supports growth, impeccable financial condition of the public sector, large public investments and effective state services. Sõerd said that the clear priorities of the state budget for 2016 are the strengthening of the security of Estonia, and improvement of the subsistence of people and ensuring of the continuation of responsible public finances. The welfare of families with children will improve and the incomes of the people will grow. Kalvi Kõva noted that the focus of the coming year’s budget was on Estonian people. He said that the budget is focused on children and families, and will improve the subsistence of many people and ensure that more vulnerable and weaker members of the society receive more support from the state. Kõva pointed out that the budget provides for a child benefit rise, a rise in subsistence benefit rate and a pension rise. In Siim Kiisler’s words, conservative and prudent budgetary policy is one of the important preconditions for economic growth. He noted that the forecasted economic growth sets a clear framework for the state as to what a responsible budget is like. In his report, Kiisler recognised the plan to reduce the number of government sector employees and thereby achieve saving. 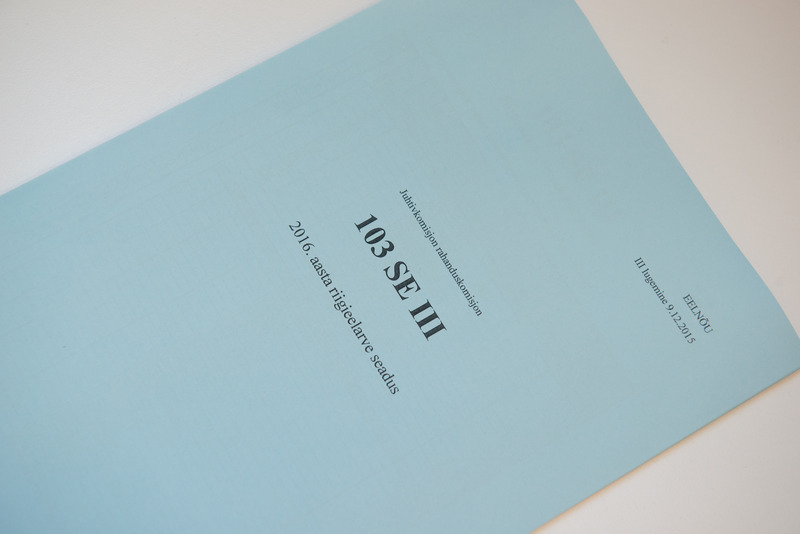 At the second reading of the State Budget for 2016 Bill (103 SE), initiated by the Government, Chairman of the Finance Committee Remo Holsmer gave an overview of the course of the proceedings. Holsmer explained that the volume of the budget expenditure is 8.9 billion euro, which exceeds the amount planned for this year by 358 million euro. The Government aims to maintain the budget in structural surplus of 0.6 per cent of GDP. Nominal deficit is 0.1 per cent of GDP, that is, 25 million euro. The tax policy is based on the principle that the tax burden would be shifted from the labour taxes more towards consumption. “Estonia will continue with a simple and uniform tax policy. Of the tax policy changes in the next year, I would highlight that the basic exemption from income tax will increase to 170 euro. The general tax burden as a proportion of GDP will remain at approximately the same level, that is, 3 per cent,” Holsmer noted. He highlighted that government sector investments will be of significant importance for supporting economic growth next year. They will increase together with investment subsidies in the state budget by 22.5 per cent compared to this year and will amount to 480 million euro. Economic growth will also be promoted through the valuing of education. Holsmer said that teachers’ salaries will rise in the next years, and a longer-term aim is to raise teacher’s salary to 120 per cent of the average salary in Estonia. A total of 307 million euro will be directed to the building and reconstruction of roads and road management, which is 22 million more than this year. Holsmer noted that, in the course of the proceedings of the state budget, the Finance Committee has listened to all Government ministers in order to get a detailed overview of the budgets of the areas of government. The members and factions of the Riigikogu submitted 37 motions to amend the Bill by the deadline for submission of motions to amend. The Finance Committee has drafted a motion to amend that to a great extent consists of technical amendments between and within the areas of government of ministries, and specifications of the sections in the text. The amendment by the Committee proposes, among other things, consolidation of the finance and personnel records to the State Shared Service Centre, and growth of the labour costs of culture workers, the budgetary specific distribution, so to say. 1.5 million euro will be reallocated within the Ministry of Rural Affairs for the development of the rural development subsidy system of the Estonian Agricultural Registers and Information Board. The salary growth in the Ministry of the Interior will be distributed between divisions. Also, through rearrangement of the funds of the National Institute for Health Development, funds will be allocated for the implementation of the prevention activity. The Finance Committee did not support the motions to amend submitted by the factions and members of the Riigikogu. Holsmer said that the main problem with the motions was that one-off sources for covering were intended to be used for increasing fixed costs, which is not sustainable in terms of the budget. 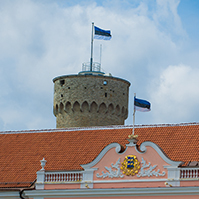 Likewise, the Committee did not consider it reasonable to reduce the expenses planned for celebrating the 100th anniversary of the Republic of Estonia and for Estonia’s presidency of the European Union. Also, it was considered impossible to spend practically all of the Government reserve, which will total 49 million euro next year. Nor did the Committee support the proposal to sell the liquid fuel stocks which would have meant a great loss to the state at today’s low fuel prices. Holsmer stressed that the next year’s budget supports economic growth and strengthens national defence and social responsibility. Aadu Must, Erki Savisaar, Marika Tuus-Laul, Laine Randjärv, Tarmo Tamm, Andres Ammas, Külliki Kübarsepp, Toomas Vitsut, Krista Aru, Märt Sults, Monika Haukanõmm, Siret Kotka, Peeter Ernits, Jüri Adams, Jaanus Karilaid, Jaanus Marrandi, Artur Talvik, Mart Helme, Maire Aunaste, Helmen Kütt, Viktor Vassiljev, Aivar Kokk, Kadri Simson and Andres Herkel took the floor during the debate. 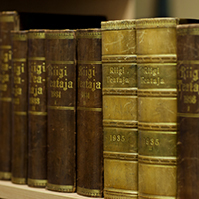 The Riigikogu reviewed the motions to amend the budget and concluded the second reading of the coming year’s state budget Bill. The deadline for submission of motions to amend for the third reading is 25 November at 3 p.m.